Management will be aware, from recent media reports, that the Congress of South African Trade Unions (Cosatu) is preparing for a protest action in the form of a national strike on Wednesday, 13 February 2019. This Management Brief provides some basic background to the issue and guidance to Management in dealing with the intended protest action. Cosatu has been quoted in various media reports that it would stage a nationwide strike on 13 February over large-scale layoffs at ailing State-owned firms and at private companies. The Labour Relations Act (LRA) permits registered trade unions or a federation of trade unions, such as Cosatu, to undertake protected protest action to promote the social and economic interests of workers, provided that they observe the procedural requirements contained in Section 77 of the LRA. It is important to note that protest action in terms of Section 77 of the LRA is only protected if the issue in dispute has been considered by NEDLAC and the applicant concerned has given to Nedlac 14 days’ notice of its intention to proceed with such protest action. In the absence of these conditions, any protest action would not be protected. However, it has been confirmed that Cosatu has filed a Section 77(1)(b) notice with NEDLAC, advising of its intention to participate in a socio-economic strike on 13 February 2019. The NEDLAC Section 77 Standing Committee has determined the notice to be compliant with the administrative requirements of the LRA. Consequently, employees participating in any form of stay-away or protest activity on 13 February 2019 will be protected by the normal rules regarding protected protest action to promote or defend the socio-economic interest of workers, namely: no-work, no-pay and no-disciplinary action. Any overtime worked during the course of the week will be paid at ordinary rates to make up for the lost ordinary working hours on 13 February 2019. 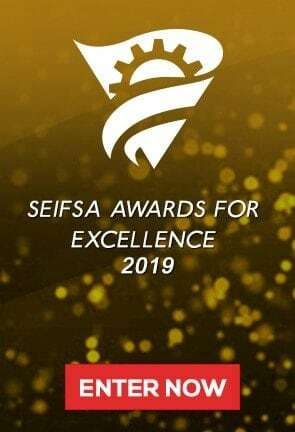 The Staff of SEIFSA’s Industrial Relations and Legal Services Division are available on (011) 298-9400 to provide any further advice and/ or assistance to Management on the contents of this Management Brief.